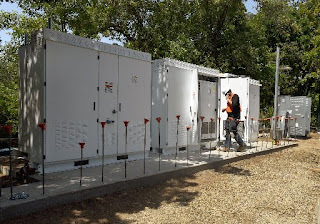 Earlier this month, College of Marin announced it will be the first community college in California to partner with Tesla Energy to install its new Powerpacks on campus. Back then Vice President Greg Nelson said installation would begin in mid-May and last until the end of June. Once the Powerpacks are operational, the cost savings will be anywhere from $100,000-$150,000 annually for the College. 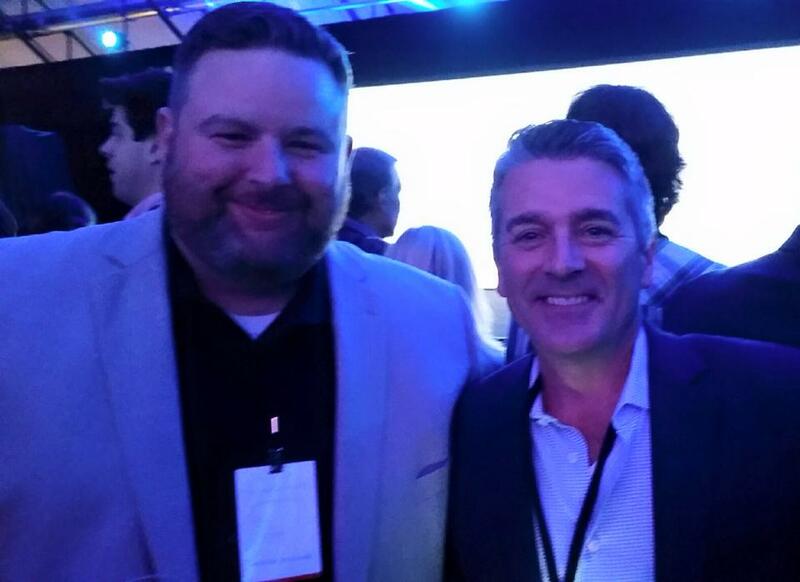 "This partnership between College of Marin and Tesla reduces the carbon footprint" Nelson added, "Through collaboration with our friends at Marin Clean Energy, we were able to meet the program qualifications and embark on this new venture with Tesla that has been nine months in the making. This takes College of Marin to the next stage of energy conservation, moving the College forward as a leader in sustainability. I believe this program will grow, creating opportunities for other community colleges throughout the country," concluding, "It helps us, helps Tesla and it helps save taxpayer dollars." 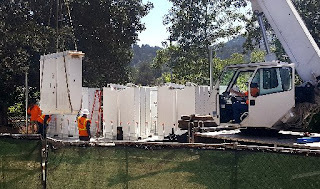 Tesla Energy will install concrete slabs to house eight blocks of two Tesla Powerpack tower - totalling roughly 4 MWh according to electrek.co - in 10-foot cabinets behind the Student Services Building, including three near the Indian Valley campus’ main building for the total cost of $5.3 million partly covered by government incentives and support from Tesla itself, PG&E and Marine Clean Energy. This will cover site preparation costs and installation of the lithium-ion battery pack, liquid thermal control system, and software that receives dispatch commands from a solar inverter. 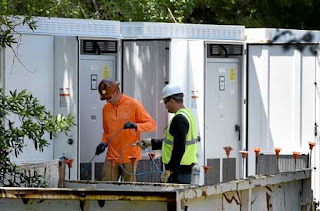 Marin Clean Energy alerted the college about the Tesla program and helped with paperwork for the incentives program that paid for the project, Nelson said. Dawn Weisz, chief executive of Marin Clean Energy, said the utility is interested in seeing similar projects elsewhere "Solar and battery storage is a nice symbiotic relationship,” she said. “Having the battery helps reduce the peaks and valleys you see in power usage." 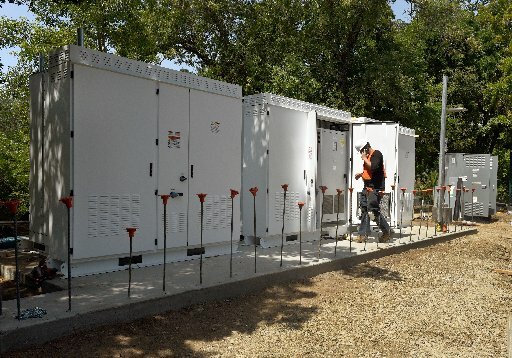 Tesla sold 100 Powerpack systems and gained at least $4.7 million in revenue in the first quarter of this year. 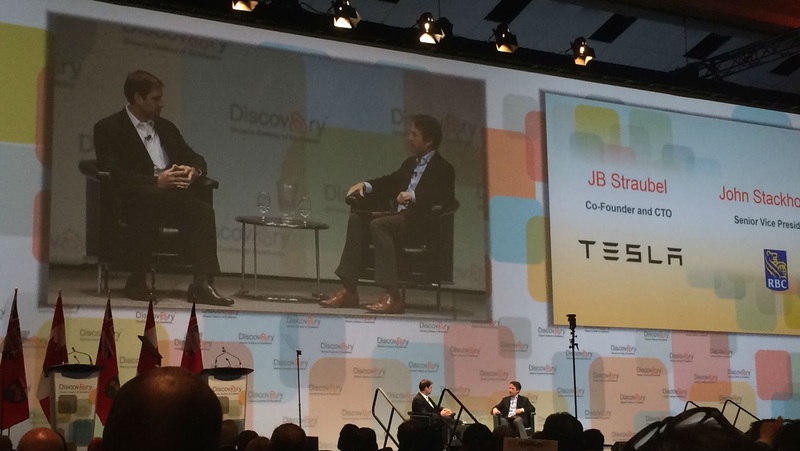 Tesla Energy should have contributed at least $12 million to the overall revenue in the period. The company recently updated its Tesla Energy page, allowing customers to order up to 54 Powerpacks and unveiled its new pricing structure. During his keynote speech at OCE Discovery 2016 in Toronto, Tesla CTO JB Straubel made the case for energy storage as the best solution for solar generation "At some point we will look at what it takes to de-carbonize our entire utility network and to increase energy generation and solar, we have to solve self storage, there is no other way around it. And if we can do that in a way to save people money and allow solar to scale to 100% of power on the grid, that is pretty phenomenal."